Lipglossiping – counts down the days until she can welcome the summer with a punch of seasonal colour from Deborah Lippmann! My Beauty Bunny – Feeling lucky? Go ahead and enter to win a shopping spree at Nurture My Body The Grand Prize winner will have $300 to spend on cruelty-free products! Nouveau Cheap – Attention lip balm fans: have you seen the new Softlips CUBE yet? If not, you must click here! Pink Sith – has made a confession. She is a Concealer Adulterer. Read all the sordid details about her affair with Joe Blasco Concealer and Neutralizer! Prime Beauty – visits the French Riveria, indulges in chocolate and gets a tan with no burn all with the Too Faced Limited Edition Bonjour Bronzing Wardrobe, a must-have for pale girls! Phyrra – shares her picks for the Top 10 Best Pink Lip Products! we heart this – hearts Mad Men almost as much as beauty products! You too? Check out our Mad Men dictionary, then join us every Monday as we recap the final season. Clumps of Mascara – is totally that girl that >wears lipstick when she works out. And red lipstick at that! EauMG – There’s a new feature on EauMG, In the House. There are so many brands out there; it can be intimidating. In the House is a quick introduction to a featured indie/niche brands. Come check out the first installment! 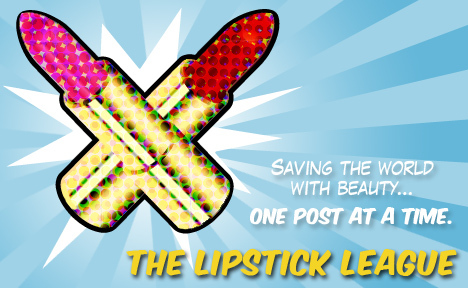 Gouldylox Reviews – I’ve got new lippies and skincare and I am obsessed! Especially with this eye cream and face oil. If fine lines are your concern, I’ve got answers! Guest Post of the Week, as chosen by Lipglossiping – I do love a comprehensive brush review, and this post on Wayne Goss’ Foundation Brush from MyWomenStuff left me scrolling through the archives like a woman possessed!